A post-summer cold, pre-fall sniffles. That’s what I have, sitting here with tissues stuffed up my nose. No fun. I’ll have to be honest, these few weeks that we are in is not my favorite time of the year. Everything is weedy and seedy and droopy. Most color in the garden comes from a few resilient blooming annuals in pots, and even they look exhausted. I think when my back is turned they tap their feet and check their watch, wanting to know when this gig is over. 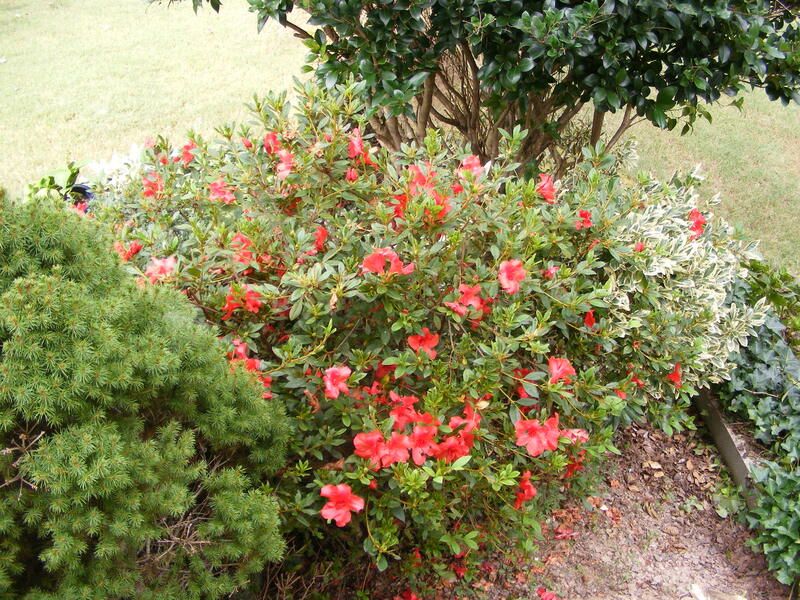 One of the few blooming shrubs that help me fill the gap is Encore azaleas. 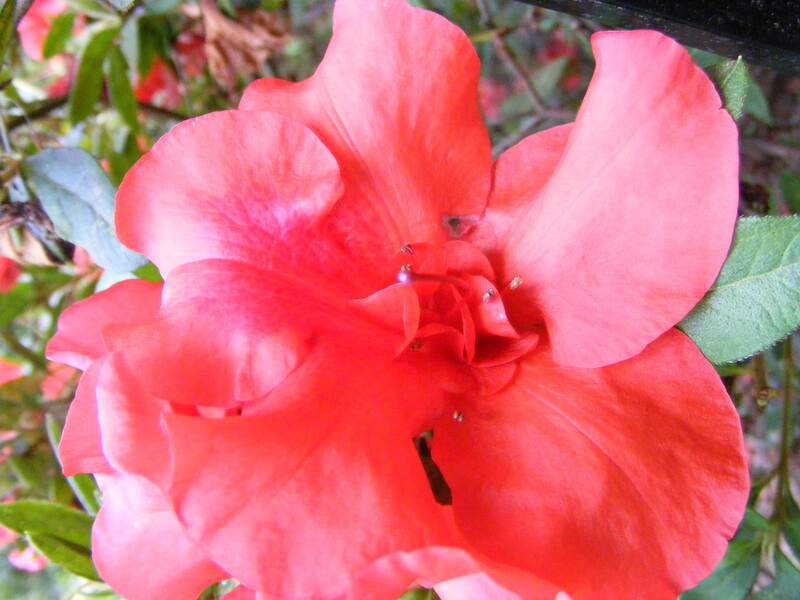 The flower color I picked is different from the normal white or pinky pink, it is a beautiful coral orange. If I was in a department store buying lipstick and found this color in a tube, it would make me sigh with delight! 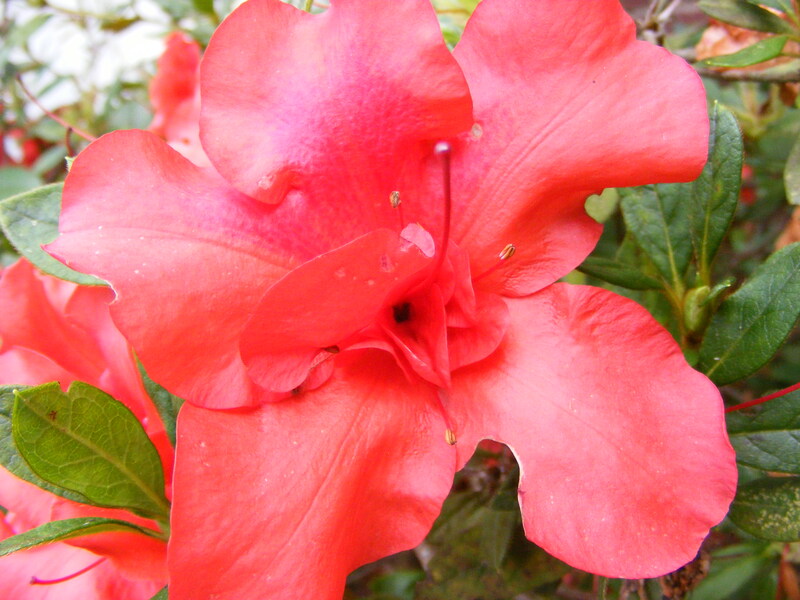 The other thing I like is the shape of the flowers, kind of like a pin-wheel or star-burst and not the dainty flowers of the other azaleas. It screams here I am, look at me! It blooms in the spring and in the fall, a double whammy. And it never ceases to remind me that very shortly everything will be lit up with fall color. It blooms in the same color palette that the maple trees will soon have on their leaves. It revs me up for the fall color show. Enjoy the gorgeous photos while I blow my nose. Love to all. 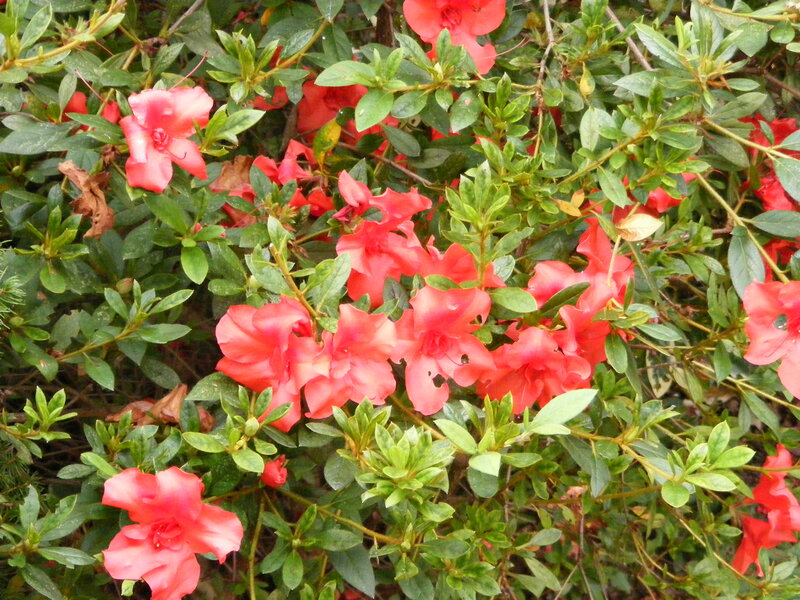 This entry was posted in Uncategorized and tagged azaleas, blooming shrubs, encore azaleas, fall, flowers, garden, gardening, nature, plants, summer by Sheila @ Redhead Garden. Bookmark the permalink. I have planted a lot of azaleas. I love them, and they love it here. The only thing they really seem to hate is shade.